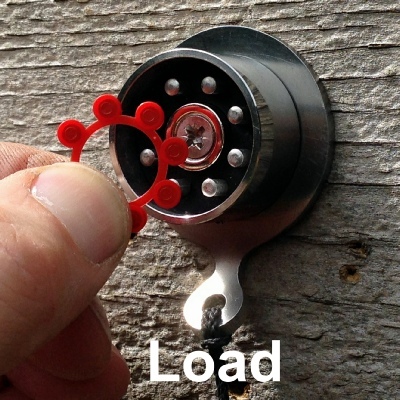 A proprietary toy gun, plastic ring cap is sandwiched between a steel target plate and a circle of stainless steel firing pins arranged within the FireCap target assembly. 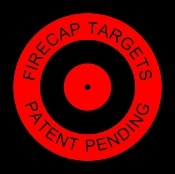 A strong magnet within the hub of the FireCap target holds the target plate in position ready for shooting. 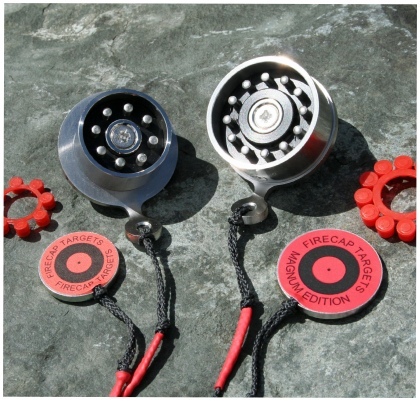 A direct strike on the target plate causes the simultaneous detonation of the shock-sensitive compound in the cavities of the ring cap resulting in a loud bang accompanied by a flash, smoke and ejection of the target plate. A stainless steel shroud facilitates easy location of the target plate and also serves to help propagate the detonation of the multiple cap cavities even when the strike is off-centre. A pellet strike within the inner black target band with pellet energy of 2-3 ft-lbs is usually sufficient to cause detonation of most, if not all, the cap cavities. A strike on the perimeter may sometimes result in a partial rather than full detonation allowing the ring cap to be used a second time. Replaceable easy-peel target stickers identify the exact point of the pellet impact. High quality materials have been used throughout the construction to resist corrosion and impact damage. 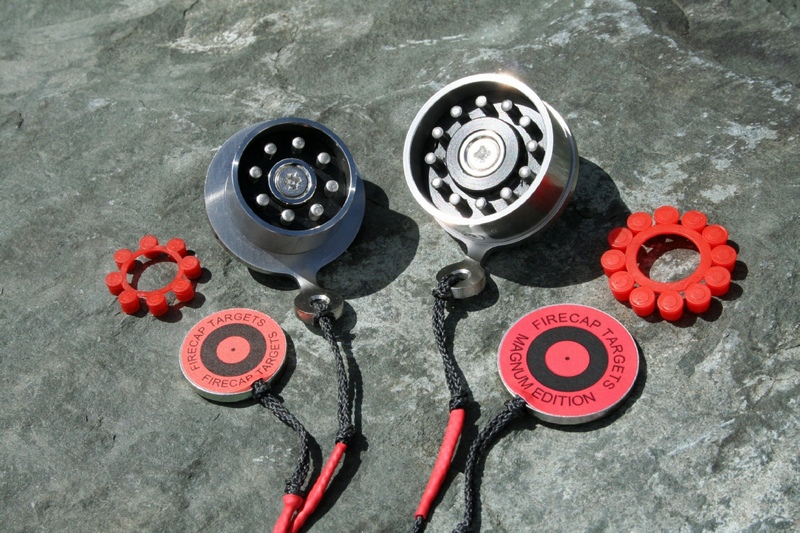 Spare parts are available should you lose the target plate or accidentally damage your FireCap target. 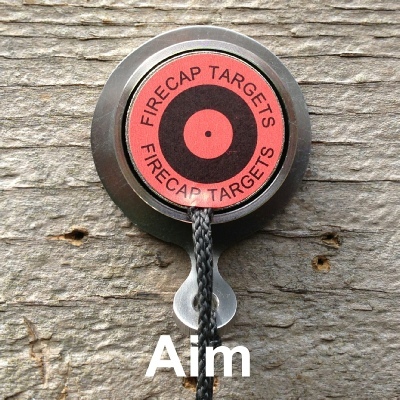 Never shoot at your FireCap target without the target plate in position. 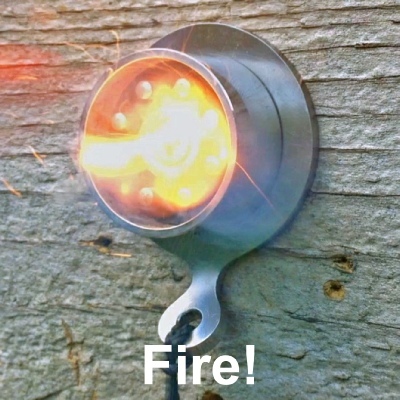 Never use your FireCap target near flammable materials . Shoot responsibly by following good safety practices.